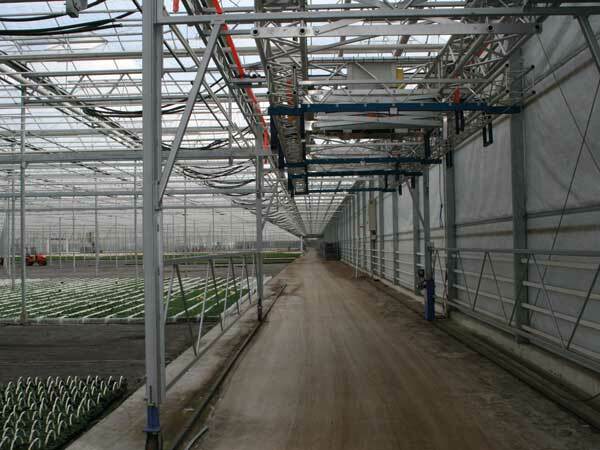 The Visser Monorail internal transport system is an internal logistics system for your greenhouse. A unique system which gives you numerous possibilities for the internal transport of pots, trays, pots in trays or crates. 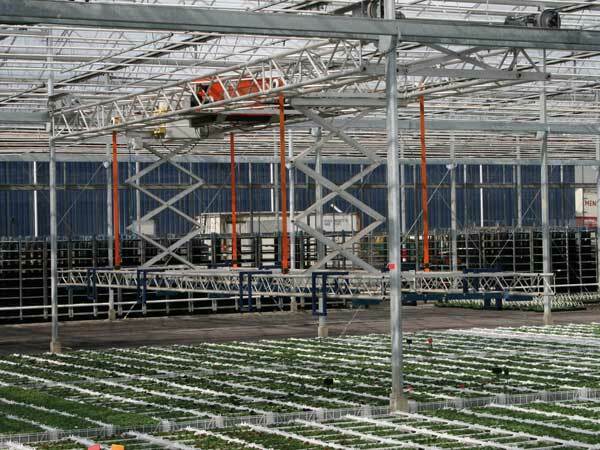 The system provides you flexibility since it can be applied to existing greenhouse structures. 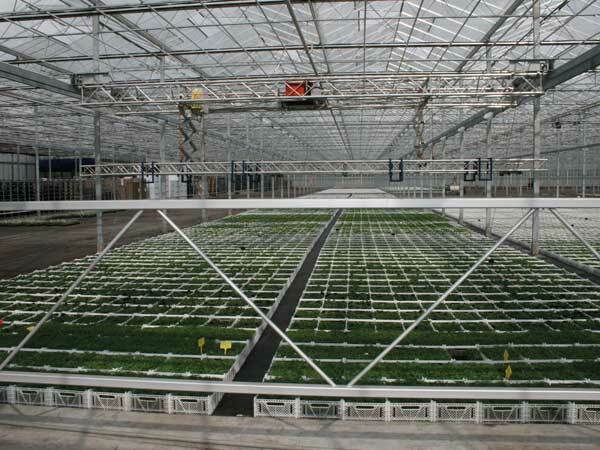 The systems rides on a monorail which is mounted in the ridge of the greenhouse.